A Delaware County man is under arrest after stealing a SUV last weekend with a baby in the back seat. It happened around 5pm Saturday at the Shoppes At Sproul Plaza on South Sproul Road in Broomall. The 1-year-old girl's parents left the car running and unlocked at they went into a bakery and then into the Wawa at the other end of the plaza. They were gone around 10 minutes. 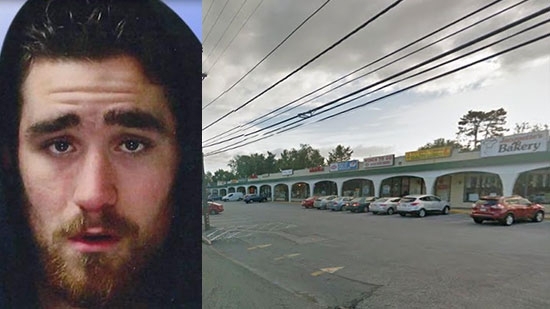 22-year-old Dillon Valenti of Havertown also went to the Wawa and walked by the running vehicle several times before deciding to jump in and take off. He later noticed the baby in the back and ditched the car on nearby Langford Road with the lights and heat on. Police found the vehicle quickly. The Delaware County District Attorney's Office is weighing possible charges of child endangerment and recklessly endangering another person against the parents, at a minimum they could receive a traffic citation for leaving a child unattended. Falls Township Police in Bucks County are looking for a man who attempted to lure a child into his car. It happened around 7:20 a.m. Tuesday January 10th. The boy was walking to his bus stop near the entrance of the Village of Pennbrook Apartment complex at 9071 Mill Creek Road in Levittown. As he was outside the 1700 building, a man pulled up in a dark great SUV, possible a Ford Explorer, and told the boy to get inside. The boy refused and kept walking and the man drove away. The suspect is described as a Hispanic man, between 30 and 40 years of age, with dark short-cropped hair, brown eyes and tan skin. Anyone with information to this incident is asked to contact Det. Matthew Tomcho at 215-949-9100 ext. 347. CVS is now selling a generic version of Mylan's EpiPen for about a sixth of the price. The drugstore chain is selling a two-pack of the generic Adrenaclick for $109.99, compared to EpiPen's $600 price tag. The price of Mylan's product has soared over 500% in recent years causing the company to receive flack from all over including Congress. The lifesaving epinephrine shots stop anaphylaxis and other severe allergic reactions. They are stocked in schools, hospitals, and other public spaces, but are also carried by individuals who know they have severe allergies to things such as nuts, insects, and shellfish. The pens expire after a year, so new ones must be bought even if they weren't used, compounding the costs. Mylan does offer financial aid but that still only reduces the price to $300.